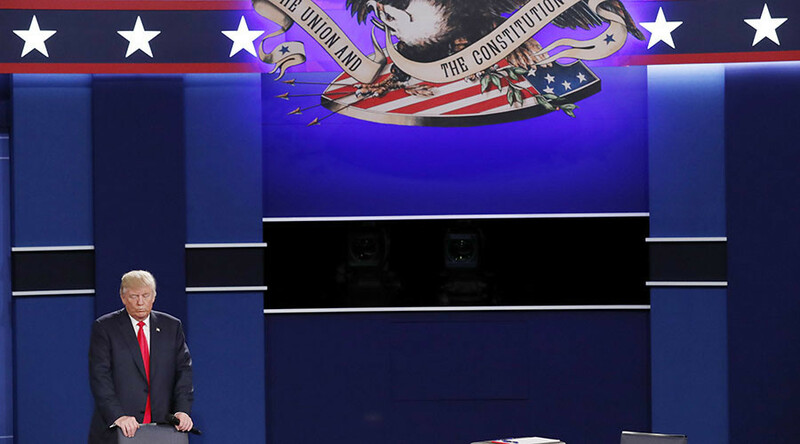 While providing fact check comments on the latest presidential debate, the Associated Press claimed Donald Trump’s assertion that Syrian President Bashar Assad was fighting Islamic State was not true. Their comment was retracted just hours later, however. AP’s comment on the issue was unambiguous. “Not true. Syria’s President Bashar Assad considers the Islamic State [IS, formerly ISIS/ISIL] group to be among numerous ‘terrorist’ groups that threaten his government, but his military is not fighting them. It is focused on combatting Syrian opposition groups, some of which are supported by the United States,” the agency said. The agency’s assessment runs contrary to some universally accepted facts. For instance, with Russia’s help, the Syrian army battled Islamic State to take back the historic city of Palmyra, thus “fighting them.” The AP’s own reporting at that that time said so, as some sarcastic commenters pointed out online. Hours later, AP changed its initial ‘Not true’ assessment to ‘Only partially true,’ stating that Syrian President Bashar Assad’s military “is mainly focused on combating Syrian opposition groups, some of which are supported by the United States.” The agency also deleted its initial tweet debunking Trump’s statement. AP deleted a tweet saying Trump was wrong that Syria's Assad is fighting ISIS. His remark is only partially true. A new tweet is upcoming. Trump has been repeatedly saying that, as a president, he would ally with Russia to fight IS. Some US officials allege that Russia is not interested in fighting terrorists and that its military deployment in Syria is only aimed at supporting the Assad government. Moscow, on the other hand, says Washington is obsessed with the idea of ousting Assad from power and willing to support terrorist groups in order to do so.